According to his LinkedIn profile, which was spotted by Bloomberg, Ahn started work at Apple in December after a nearly four-year stint at Samsung's battery arm, Samsung SDI. Ahn held three senior vice president roles during his time at Samsung, where he worked on next-generation battery cell materials and technology bound for a range of consumer devices including smartphones, power tools and electric vehicles. The profile does not specify what projects Ahn will lead at Apple. As noted by the publication, Apple has in the past purchased batteries from Samsung SDI, and the company is listed as top-200 supplier on Apple's Supplier List as of February 2018. The Cupertino tech giant has over the past few years followed a wider strategy to diversify its supply chain, a move that brought multiple Chinese battery makers into the fold. 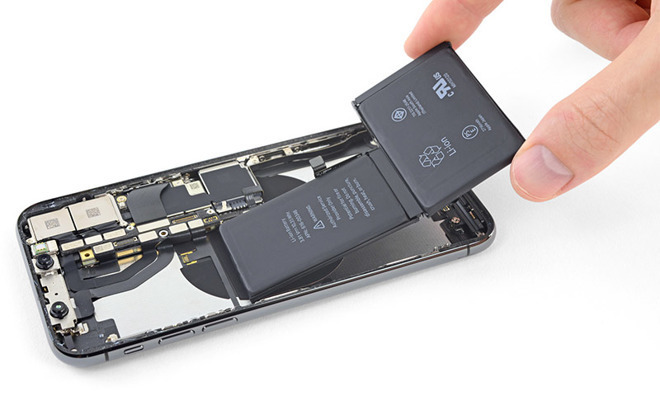 The new hire suggests Apple is looking to further reduce dependence on third party suppliers by developing and potentially manufacturing its own batteries. Backing up rumors of an in-house battery solution, Apple in 2018 was said to be in talks to secure cobalt, a key ingredient in lithium-ion batteries, directly from miners. Apple has found success in previous internal projects designed to lessen reliance outside parties, the most visible being A-Series processors used in iPhone, iPad and HomePod. Though a bitter smartphone industry rival, Samsung remains a key partner supplier to Apple for parts including OLED screens. Recent reports suggest Apple is developing its own technologies, like MicroLED displays, that will enable it to minimize or cut off Samsung's influence. Prior to Samsung, Ahn worked at LG Chem for 17 years as a vice president in charge of battery development, after which he served a brief stint as a professor of energy and chemical engineering at the Ulsan National Institute of Science and Technology. Ahn's time at Samsung overlaps the company's Galaxy Note 7 battery debacle. In 2016, multiple Galaxy Note 7 units spontaneously ignited, at times imperiling users, due to what was later discovered to be design flaws and manufacturing issues. The company ultimately suspended production of the handset and in late 2016 urged users to stop using the device. Whether Ahn was involved in the fiasco is unknown.